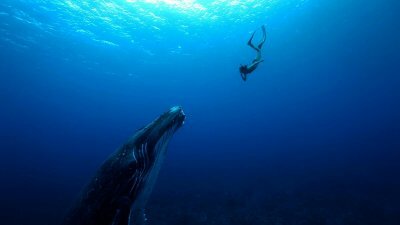 Leina, a French-Japanese freediver, is expecting her first baby. Her partner Jean-Marie, an expert on cetaceans, is passionate about underwater shots and has earned international recognition for the quality of his productions. The documentary directors share with us this unique contact of Leina with whales, sperm whales and dolphins over the last four months of her pregnancy.